For most anime challenges, day 1 is usually “Your First Anime” or something along those lines. Feiyon and I decided to do our gateway anime because it’s closer to the “point I started watching anime”. For instance, I had watched a few short animes on recommendations from my friends, but I didn’t really get into it until I watched Death Note. Light Yagami is a high school genius who wants to make his way through school and become a police officer like his father. 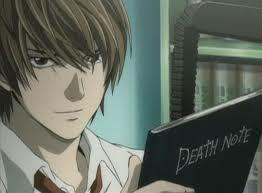 His whole world changes, though, when he suddenly finds a book called the “Death Note”. The Death Note gives its holder the ability to kill anyone whose name and face they know by magically giving that person a heart attack. With his newly found power, Light takes upon himself the task of creating a new world free from evil, ruled by the God of Judgement, Kira. When the world police forces begin to see a connection between the criminal heart attack victims they hire the world’s greatest detective to find and put Kira to justice. This detective has never revealed his face or his name, he simply goes by “L”. 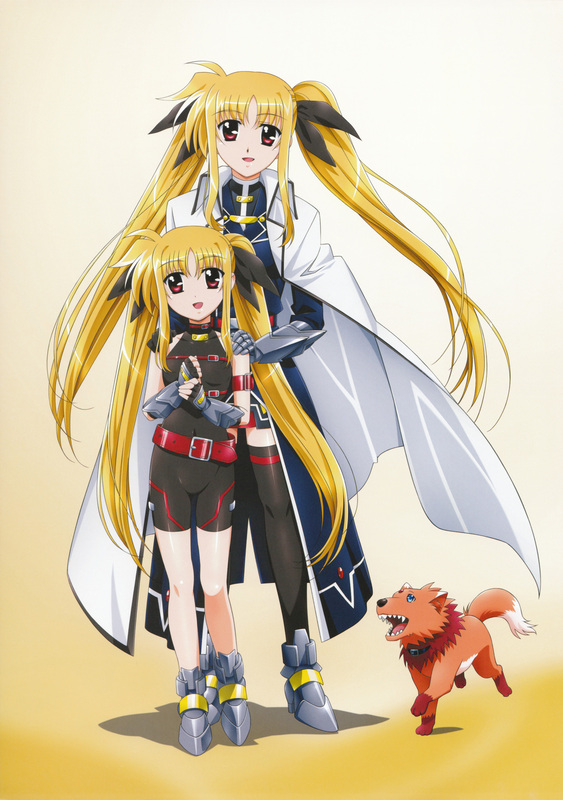 The anime follows the story of Kira and L as they fight a battle of wits to create a new world, or save the old world. Like I said above, this show cemented me as an anime fan. The war between Kira and L is a wonderful back and forth as the two men match each other’s wits blow for blow. I loved watching this and have since rewatched it several times. 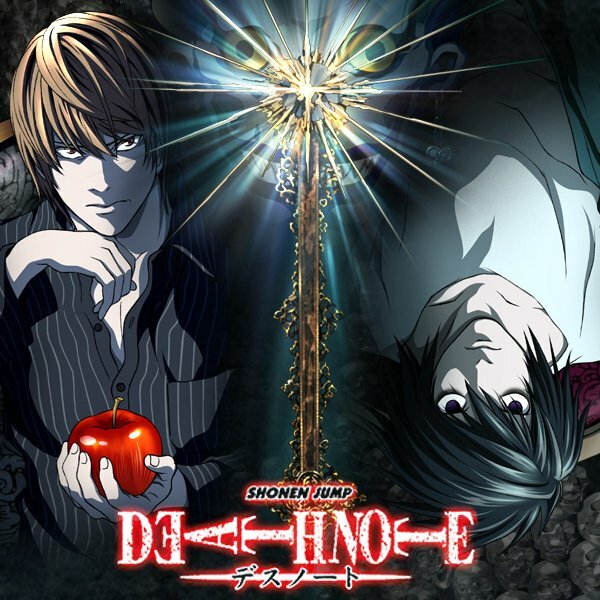 I have actually been asked what a good anime for someone who doesn’t watch anime is, and I always point them to Death Note. 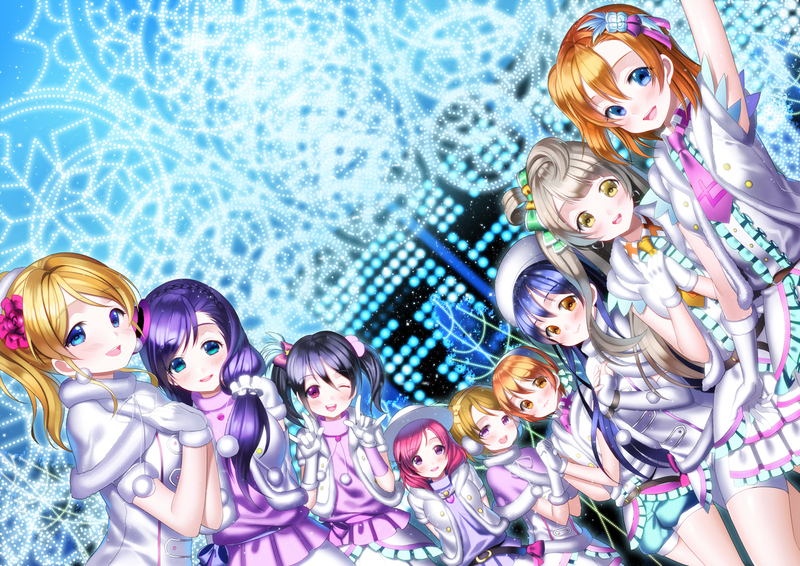 The character design and the use of color as representative of characters was all beautifully done. I would give it full points, except that I’m not a huge fan of the animation sequence during the second season’s OP. For a show about a serial killer being hunted by a detective, there was a surprising lack of characters that could be labelled as the “antagonist” of the show. I spent the entire time simultaneously rooting for both Kira and L. At least until L died. Near and Mello kind of pissed me off. Maybe I would have liked them a little more if the anime had followed their story more closely to the manga. I doubt it though. Light is the boy wonder that finds the Death Note. At first he is skeptical about its power but when he discovers the true capabilities of the notebook he takes it upon himself to purge the world of evil and create a new world order of peace, maintained by the God of Judgement Kira. Light is very cautious about his use of the notebook and takes a multitude of security measures to prevent his ownership of it being discovered. When L becomes suspicious and starts to suspect that Light may be Kira, Light puts a plan into action that would create the perfect alibi for him. He is a genius with a goal and refuses to let anything stand between him and the new order under the God Kira. 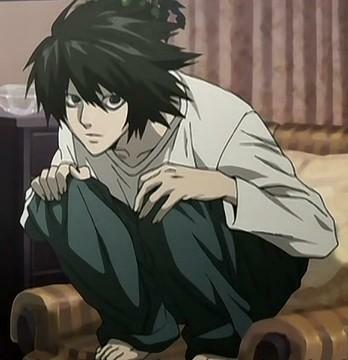 L is the detective tasked with discovering Kira’s identity and bringing the invisible killer to justice. He is a genius whose intellectual prowess in unmatched by anyone, save Light. L holds claim to the name of the three greatest detectives in the world. He has never failed to solve a case. When he is charged with Kira’s case, he focuses all his energy into finding the killer. As the show progresses, despite his suspicions and doubts about Light he comes to see Light as the only man he can consider to be a true friend. 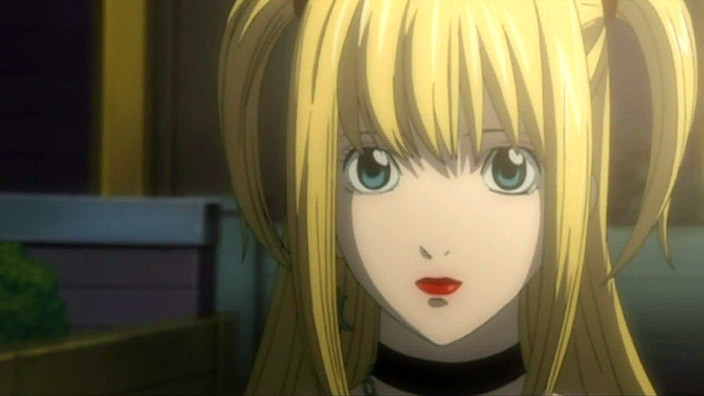 Misa Amane (stage name Misa Misa) is a small time model whose parents were murdered. 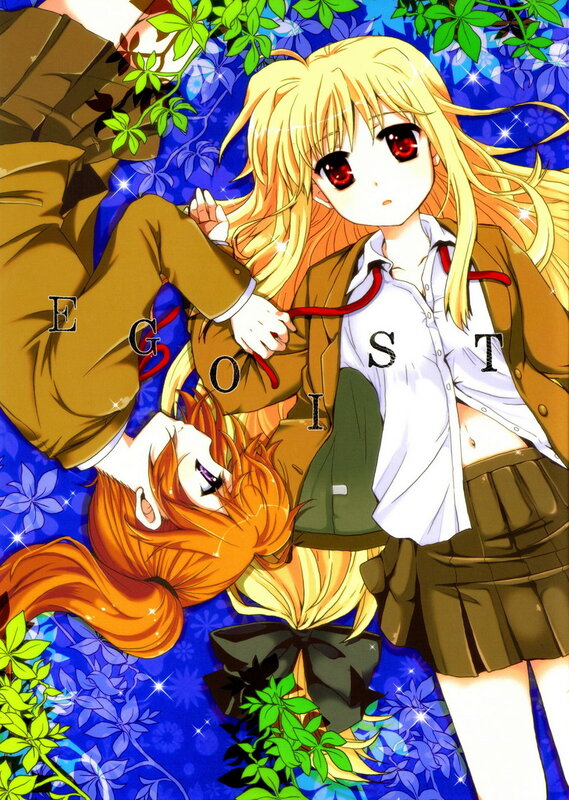 The murderer was judged by Kira and Misa falls in love with Kira because of it. She finds a Death Note of her own and uses its power to send a message to the True Kira (Light). When the two finally meet, Misa offers her power to magically discern the names of people she does not know in exchange for Light agreeing to be her boyfriend. Misa’s entire life revolves around serving Kira and though he has no real feelings for her, Light is willing to play along for the sake of using her for his own needs. The story of the intellectual hunters as they each seek to punish a man whose name they do not know is absolutely fantastic. Every time one makes a move, the other is always one step ahead, but the first was a step ahead of that. The back and forth nature of the war is a piece of beauty. As much as it pains me not to give a great score for a category, I simply was not a huge fan of the opening and ending for the second season. Every song was heavy and energetic, which fits the show quite well. Musically, though, I much prefer the first season. This show is jam packed full of action. It may not be sword-crossing or crazy explosions of magic, but there is never a dull moment. Death Note was just a great show. I’ve definitely enjoyed watching this the first time through and every time since. As a gateway anime, it did its job. I sat down thinking “Okay, I’ll watch this one and then be done with anime.” A day or so later I was contacting all my friends looking for recommendations. I needed more. So today kicks off the start of the anime challenge. Day 1 is what is your gateway anime. Mine personally is Sailor Moon. Honestly, when I first saw Sailor Moon when I was five, I hated the show. It freaked me out. Years later, I was baby-sitting one of my friends that is years younger than I am, and she happened to have some Sailor Moon episodes. We watched a few for a couple years together. I finally reached the point where I wanted to know how Sailor Moon started, because all the episodes we were watching were random. They would be from the first season then the third season. It was not consistent. After finishing all of Sailor Moon in English, I rewatched it in Japanese because I realized that America cut a few of the episodes from the original version. I didn’t stop there. After watching all the English and Japanese episodes, the movies, and the OVAs, I watched the live action series. I really should have stopped sooner, but I was obsessed. After Sailor Moon, I started the Inuyasha series, and it’s all history from there. There are many places that you can watch the series. They used to have all the episodes on YouTube. It seems that Hulu has a few season for free in Japanese. 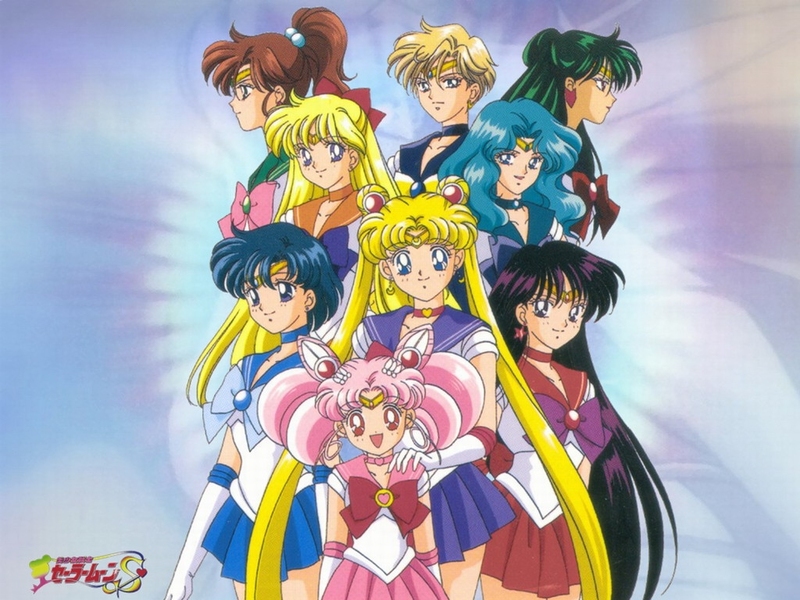 watchsailormoon.com has English dub and Sailor Stars Japanese Dubbed. Usagi Tsukino (Serena Tsukino) is an average middle school girl. She is mostly known for being a crybaby. However, she is also very sweet and caring. She is always willing to sacrifice herself for the good of others. One day, Usagi is told by a talking cat that she is the guardian of the Earth, Sailor Moon. The evil people of the Dark Moon attack Earth, and it is Sailor Moon’s job, along with the Sailor Scouts, to help protect the Earth. This is one of those really well known classics that I believe every anime fan should try to watch. I loved this whole series. 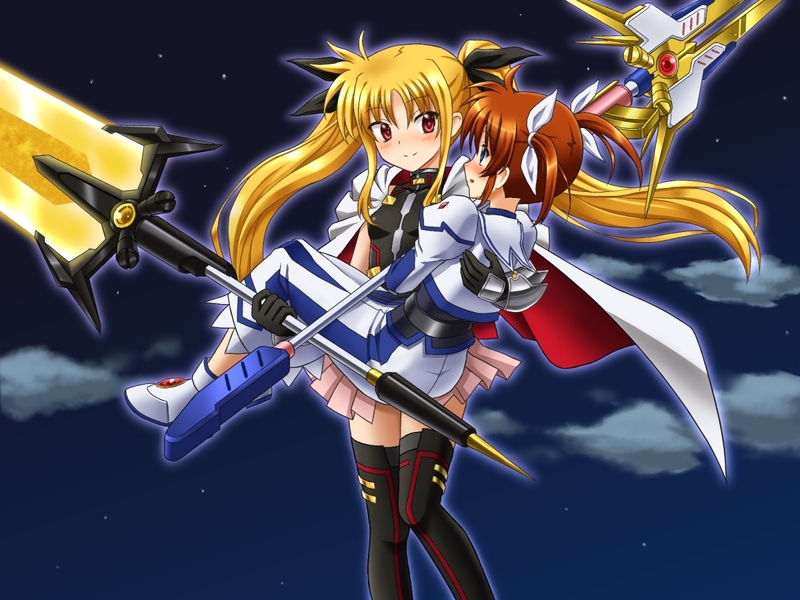 It has a great mix of action, comedy, and drama, let alone it is a magical girl show. Although every episode gets slightly repetitive, the show as a whole is really enjoyable. It is fun to connect with all the characters through the different events that happen throughout the series. There are good amounts of comedy mixed with enough drama to keep you wanting more. Considering the animation limitations of the time, Sailor Moon has decent animation. I thought the style of the art really fit the show well. This was confirmed when I saw the first half of Sailor Moon Crystal. The transformations and every day life sequences are very fluid in the anime. I really enjoyed the animation of Sailor Moon and thought it was well done. All the characters in the Sailor Moon series are special in different ways. As the show progresses, the it is easier to become attached to each one individually and all the characters together as a group. Usagi Tsukino is a middle schooler in the first season of Sailor Moon, and in the final season she is a high schooler. She has always been a total klutz, so her family often yells at her for making messing up. As stated before, Usagi cares a lot for others. This includes friends, family, and strangers. She can easily loose her temper when she gets teased or someone is threatening her relationship with Mamoru, her boyfriend. 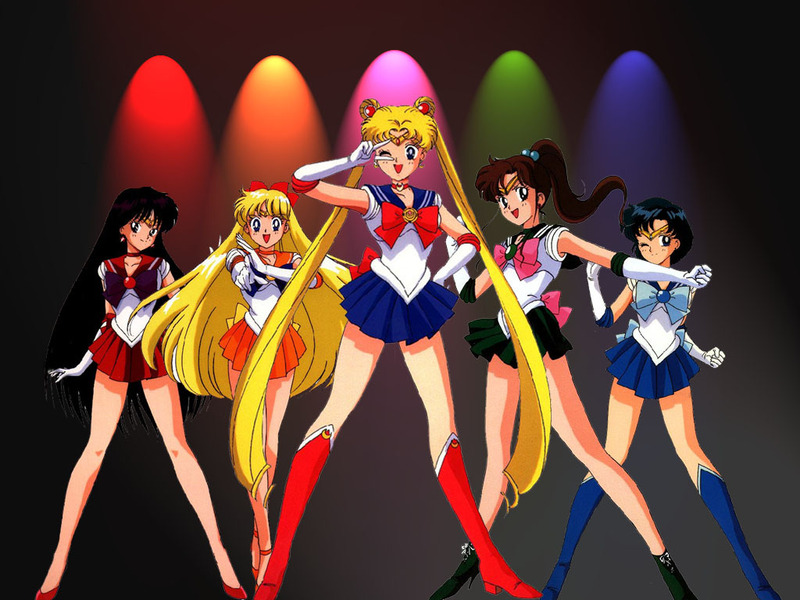 Usagi is the princess of the moon kingdom reincarnated as a human Earth girl. 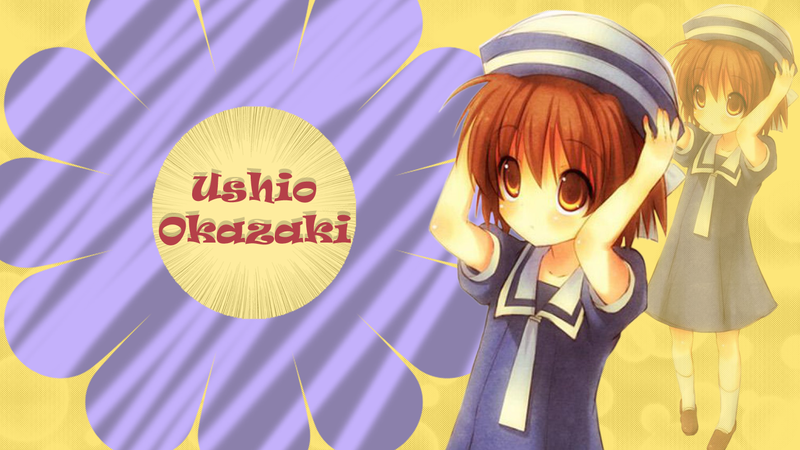 She is also Sailor Moon, the leader of the sailor scouts. Most of Sailor Moon’s powers are connected to using a staff to attack or heal. As the series progresses, Usagi matures a lot. It is inferred that she becomes the queen of Earth and Crystal Tokyo, and she is Rini’s mother. Rei Hino works as a shine maiden at her family shrine. She is known to be born with spiritual powers. These allow her to sense evil. The powers Rei was born with make it hard for her to make friends before Usagi meets her. Soon after they meet, Rei discovers that she is Sailor Mars. Most of her powers correlate to fire and her spiritual powers. She really cherishes her friendships with all the other sailor scouts, but that doesn’t stop her from getting into fights with Usagi. Rei goes to a different school than the other sailor scouts during the entire series, but she always has a way to make an appearance. She is not shy about telling boys that she is interested, but this can cause her to fight with other girls interested in the same guy. Mamoru Chiba is the love interest of Usagi. He is a few years older than her, so his character is a lot more mature and collected than her. Mamoru in Japanese translates to “protect”, and that is his main role in the anime. He is the one and only Tuxedo Mask. Since episode one, he helps the sailor scouts whenever they are in trouble. He usually goes when the sailor scouts are facing a huge threat or he will show up randomly. He is the reincarnation of the Prince of Earth, Endymion. He and the princess of the moon were in love during their life time, and that love remain strong inside Mamoru and Usagi still. When Mamoru was a child, he got into a bad car accident that killed his parents. He has trouble remembering his past because of it. Tuxedo mask has the power to sometimes see people’s dreams, heal minor wounds, and monitor the status of the Earth. The plot of the entire series is quite good for a longer running series. I usually stay away from longer series like One Piece and Naruto because of the length and fillers, but this anime didn’t make any episode feel like a filler. It was great at keeping me entertained. I loved the comedy mixed with the drama that every evil organization brought. The plot itself is like every other magical girl show where in every episode some civilian gets attacked and the girls save them, but the mix of characters and comedy help this anime keep its individualism. The opening “Moonlight Densetsu” is a classic among anime openings. It is the opening for the first four season. The Sailor Stars intro song, “Sailor Stars” was catchy and good, but it still doesn’t compare to “Moonlight Densetsu”. I honestly don’t remember the ending songs for the Sailor Moon series. They didn’t compare though. This anime fits the genre of comedy and fantasy really well. The fantasy being the magical girl powers, the evil beings, and the creatures. The comedy is mixed into every episode of the anime. It is usually shown between interactions between the characters. This anime is a good mix of fantasy and comedy, and without either it wouldn’t have been as enjoyable. 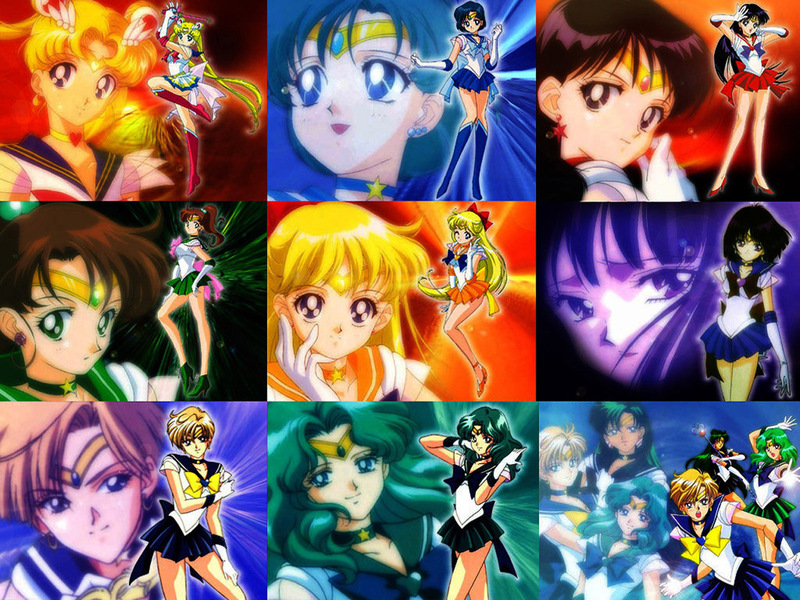 I love the Sailor Moon series and I’m glad I can say it was my first anime series. It’s been a long time since I’ve seen the whole thing, but whenever I go back to watch just one episode again I end up watching five or more. I’m always game to watching Sailor Moon again with my friend who helped get me started. As an anime fan, I think that everyone should try watching this series.